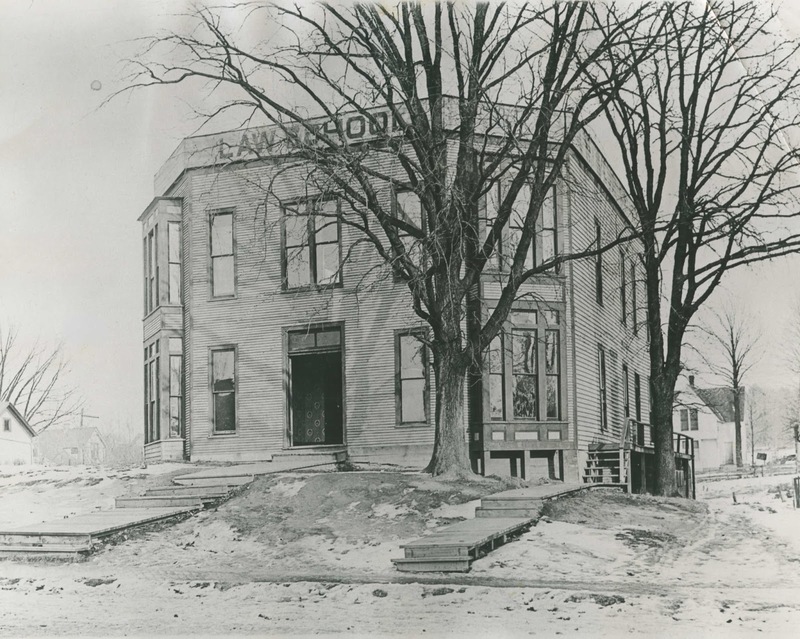 During in the late 1880s, citizens of Valparaiso began to take great pride in the variety of educational opportunities that it could afford an individual. The community was actively promoting itself as "The City of Homes, Schools and Churches." Local schools of higher education were not only heavily advertising the advantages of their curriculum, but also relieving the fears of prospective students (and more like their parents) by informing them that nearly every religious faith had a house of worship within city limits. Hence, students would not become wayward souls by attending school at Valparaiso. The dominant school in the city at this time was the Northern Indiana Normal School and Business Institute. 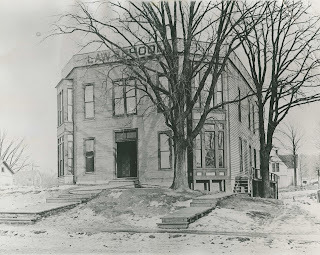 The Normal School opened its doors in 1873 when Henry Baker Brown acquired the property of the defunct Valparaiso Male and Female College, a Methodist-affiliated school located on College Hill that existed between 1859 and 1871. 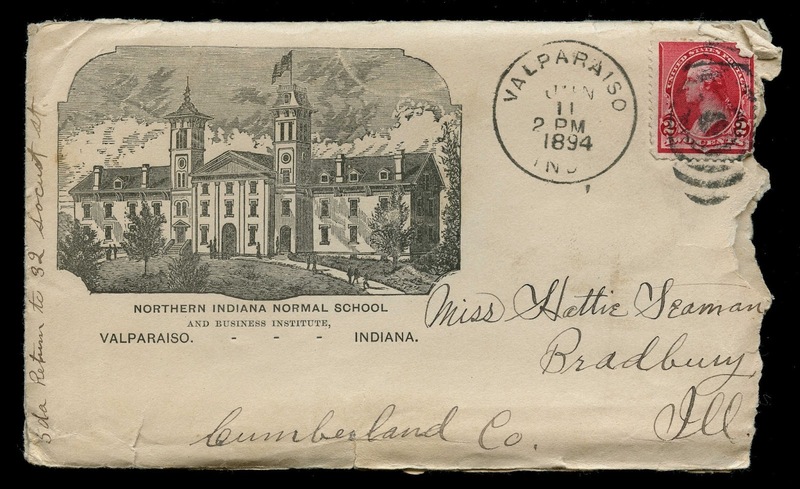 The Northern Indiana Normal School and Business Institute would be renamed Valparaiso College in 1900 and then rechartered in 1906 as Valparaiso University. Valparaiso University became affiliated with the Lutheran faith in 1925.
and Female College, circa 1868.
to as the Old College Building, which was destroyed by fire on February 15, 1923. 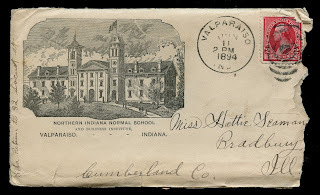 The Northern Indiana Normal School and Business Institute began operations in 1873. 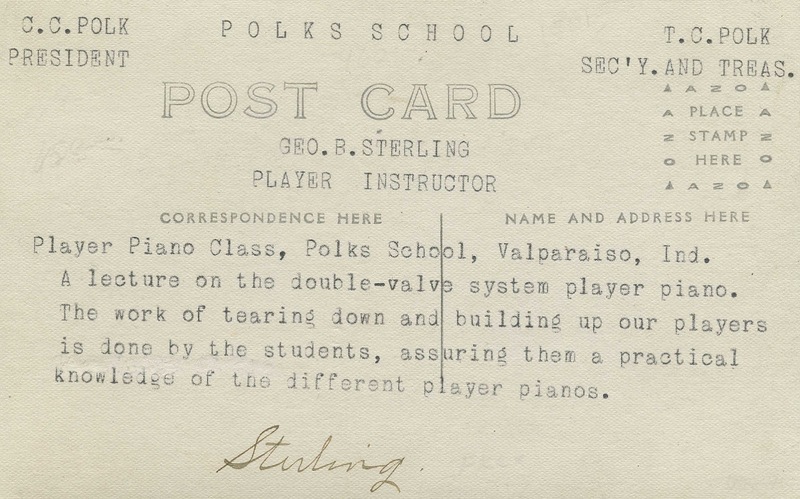 At the behest of the railroad companies operating lines through Valparaiso, the Normal School established a program focused on telegraphy education. George Alexander Dodge, who was a telegrapher with the Pittsburgh, Fort Wayne and Chicago Railway, was asked to manage the school's new Telegraphy Department. Dodge accepted the position and began the program at the Normal School on January 5, 1874. ...the first of several specialized departments which were organized around the nucleus of the Normal School. This department set a pattern which became typical of such specialized departments, a pattern of autonomous schools owned and managed by their deans or heads who collected fees from their students and paid Mr. [Henry Baker] Brown a percentage of such fees for advertising. This system of ownership and operation in partnership with the Normal School was referred to interchangeably as the "share system" and "percent system." In the case of the telegraphy program, student tuition was paid by the railroad companies with an assurance that individuals passing the intensive telegraphy program would be guaranteed employment. And, as described above, the Normal School would also collect a fee from the Department of Telegraphy. 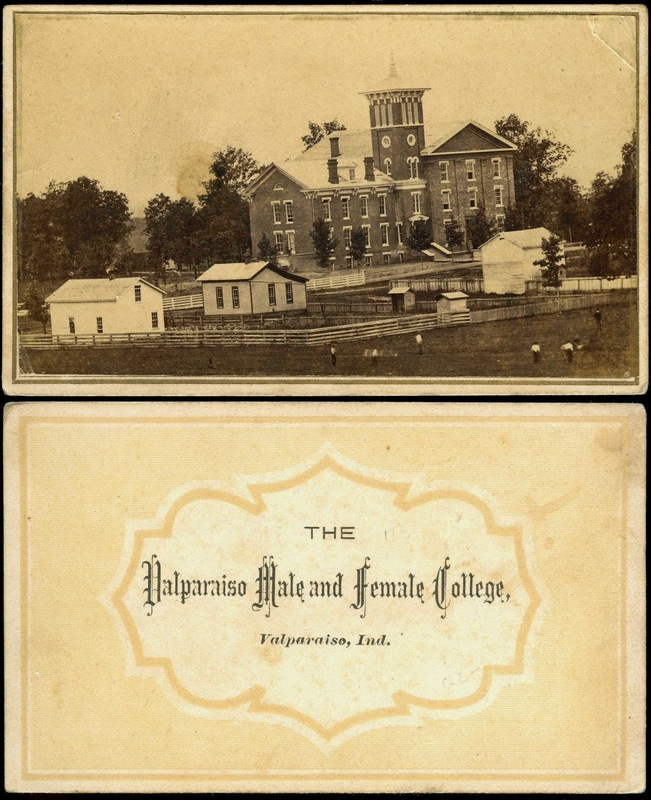 It is likely that Brown, recognizing the failure of the Valparaiso Male and Female College, realized that offering a greater variety of opportunities for student learning would provide a mutual benefit for the Normal School and the telegraphy program; it also provided a much needed infusion of capital to operate and expand the Normal School. Meanwhile, the railroad companies would be assured of employing well trained telegraph operators, which were in very high demand. Dodge sold his interest in the Telegraphy Department to George L. Durand, an instructor at the school, in 1882, who then sold his interest to a Lucius Herbert Clarkson, an operator on the Grand Trunk Railway, in 1885. Clarkson, unsuccessful, closed the school by the end of the year and moved to Chicago with his wife Cora S. (Wood) Clarkson, where he would sell insurance and later become a city ice inspector. 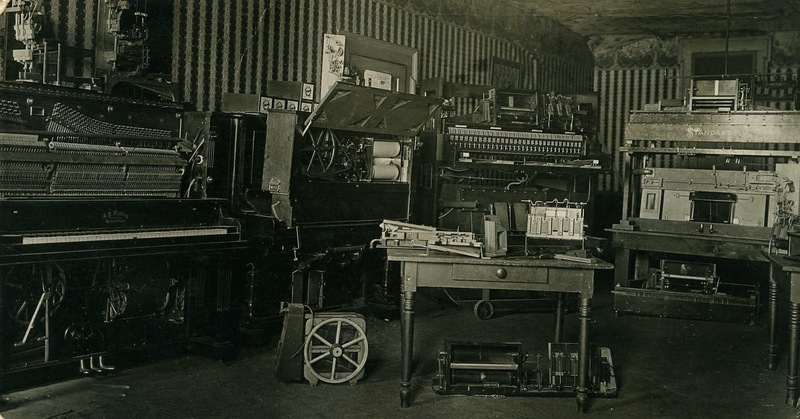 However, a Mr. West, an operator on the Pennsylvania Railroad, resurrected the School of Telegraphy in 1887. It was at this time that the school was relocated from College Hill to the west side of Valparaiso. West, like Clarkson, was unsuccessful in his new venture and the school closed by the end of the year. George Mazier Dodge, the son of the George Alexander Dodge, reestablished the Department of Telegraphy in association with the Normal School on March 17, 1891. By 1894, a disagreement arose between Henry Baker Brown, president of the Normal School, and George M. Dodge. The disagreement led to the permanent separation of the telegraphy program from the Normal School in November 1894. 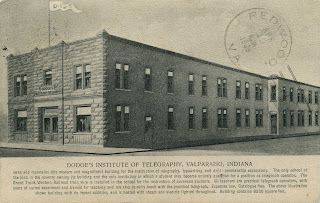 Upon becoming an independent trade program, the school changed its name to Dodge's Institute of Telegraphy. 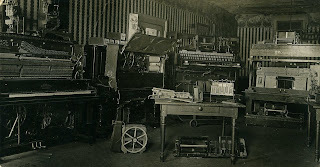 of Telegraphy in Valparaiso, Indiana, 1909. 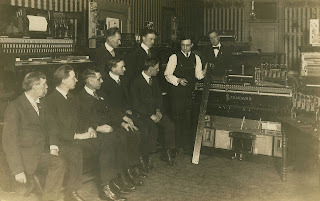 By 1909, students at the school could receive training in the new field of "wireless technology," soon to be more commonly referred to as radio. Dodge's Institute of Telegraphy was likely the largest telegraphy school in the United States and its graduates were in high demand among the railroad companies. The school was rather unique in that railroads that passed through Valparaiso allowed the Institute to cut in on their lines so that students could practice and test their receiving skills by listening to actual telegraphic traffic. 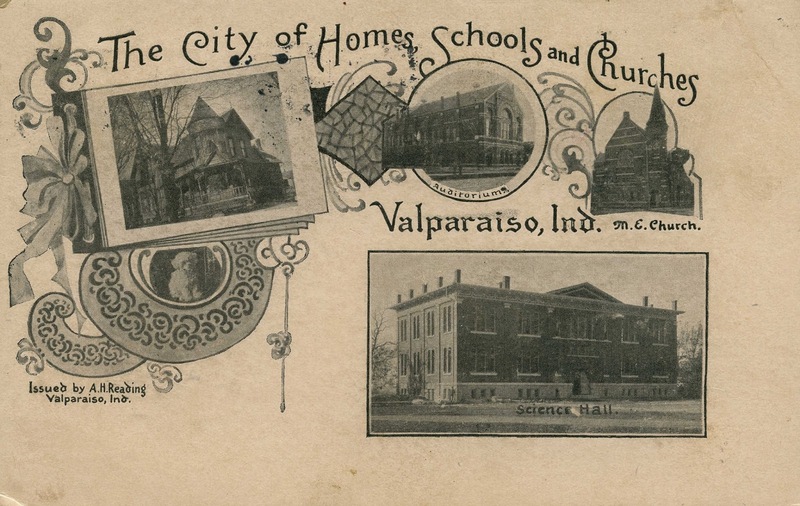 Valparaiso as the City of Homes, School and Churches, 1906. Dr. Joseph Bernard Hershman purchased George M. Dodge's interest in the school in 1939. Hershman renamed the school Valparaiso Technical Institute on March 15, 1944, and the school operated under this name until its permanent closure in April 1991. Following Hershman's untimely death in 1956 due to an automobile accident in Iowa, Dr. W. D. A. Peaslee was named president of Valparaiso Technical Institute on January 26, 1957. Upon his death in 1959, Peaslee was succeeded by G. Edward Hershman. Those interested in studying law could enroll in the Northern Indiana Law School, which opened its doors to pupils on November 11, 1879. The law school was unique among American law schools in that women were also admitted into the program. The first class consisted of nine students, two of them being women, under the tutelage of Colonel Mark L. DeMotte. The law school was initially located in the south addition of the west wing of the Old College Building, which was later converted into a library. dean of the Northern Indiana Law School, 1879-1907. Source: J. Strietelmeier's Valparaiso's First Century. In 1886, Professor Felix Ekblad, Head of the Department of Fine Arts at the Normal School, built a residential structure at 355 Greenwich Street. This building later came into the possession of Colonel DeMotte and the Northern Indiana Law School moved into this structure. located at 355 Greenwich Street, circa 1900. The Northern Indiana Law School was similar in ownership and operational structure as the Department of Telegraphy. The Law School paid a fee to the Northern Indiana Normal School and Business Institute, but it was independent of the Normal School in its ownership and operation. In 1905, however, under the leadership of Milo Jesse Bowman, the Law School formally came under the umbrella of Valparaiso University, where it remains today. 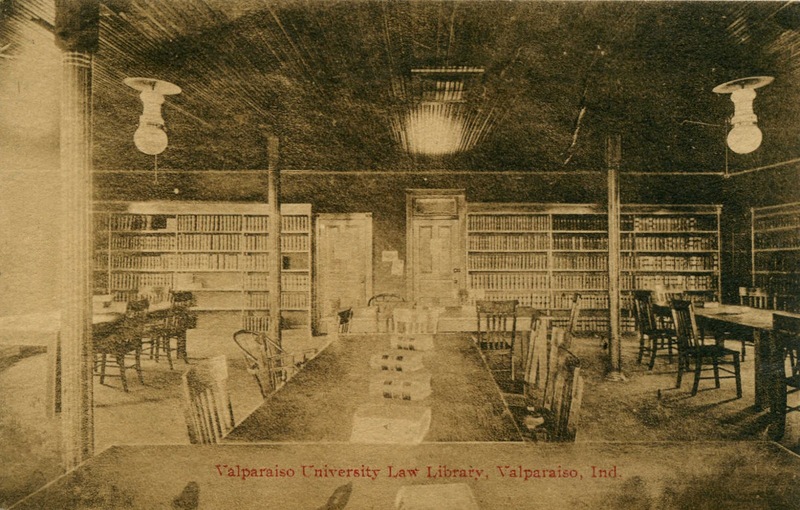 Postcard image of the Valparaiso University Law School Library, circa 1918. 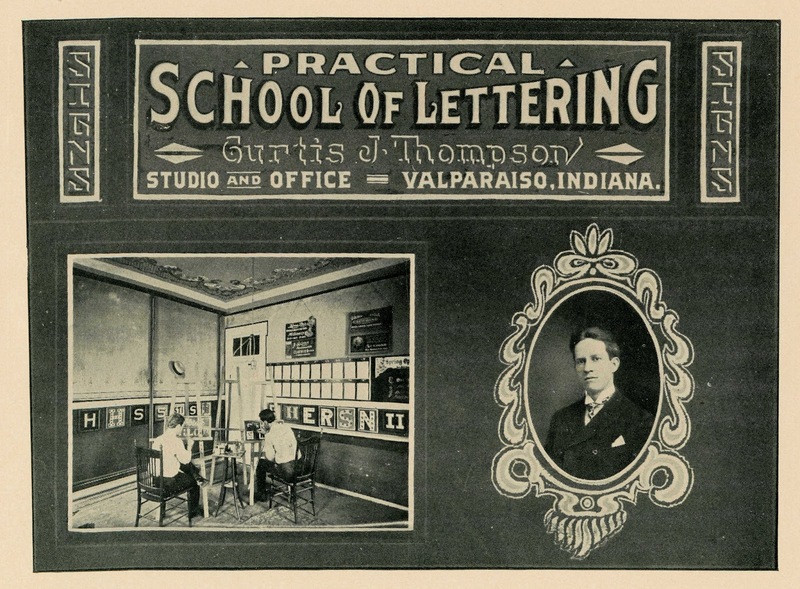 If handwriting and sign making was one's occupational desire, then an individual could enroll in Curtis J. Thompson's Practical School of Lettering, which was located at 157 Main Street (Lincolnway). While it is uncertain as to when this school was either established or discontinued, it is known that it operated for a few years between 1901 and 1909. By 1909, Curtis J. Thompson had married Marie Blecha and moved to Cook County, Illinois, where he worked as a sign painter well into the 1930s. 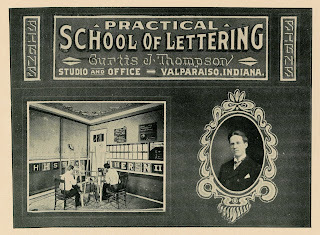 Interestingly, a William Alexander Thompson operated The Thompson School of Lettering at Pontiac, Oakland County, Michigan, at the same time as Curtis J. Thompson's school was in existence at Valparaiso. The Michigan school offered correspondence lessons by mail and also published a catalog offering pens, brushes, inks, paints, flitter (today known as glitter), stencils, and letter outlines. Despite sharing the same surname and operating nearly identical schools, genealogical research has been unable to find a connection between William Alexander Thompson and Curtis J. Thompson. located in Valparaiso, Indiana, 1905. Another penmanship school existed in Valparaiso prior to Thompson's Practical School of Lettering, though little is known about this particular institution. Around 1880, George W. Michael opened a penmanship school in direct competition with the Normal School's penmanship department taught by Martin E. Bogarte. Michael's school drew the ire of Englebert Zimmerman, the editor of the Valparaiso Messenger, who was an extremely staunch promoter of Valparaiso and the Normal School and its programs. A dispute arose in the newspaper between Michael and Zimmerman with Zimmerman ultimately winning public support for the Normal School's penmanship program. Michael's school would cease operation soon after this dispute. Adelbert Henry Reading, commonly referred to as A. H. Reading, own and operated the Valparaiso School of Photography at 13 Main Street (Lincolnway). Reading was born on May 26, 1872, at Crown Point, Lake County, Indiana, and died on December 15, 1955, at Safety Harbor, Pinellas County, Florida. He established his photography school in 1902. He was a very prolific photographer in Valparaiso. Reading's studio produced many of the area's turn of the century photographs of individuals, families, buildings, and street scenes. He also used several of his photographs as stock material to produce postcards. 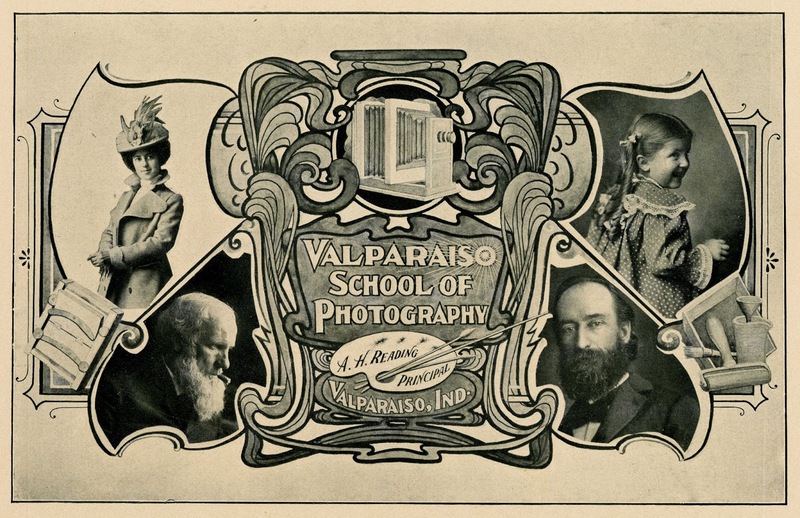 Adelbert Henry Reading's Valparaiso School of Photography, 1905. Reading's photography school was still in operation in 1928, and Reading continued to produce photographs at his studio business as late as 1939. Interestingly, Reading was also considered a handwriting expert and provided testimony in this particular specialization in court cases. 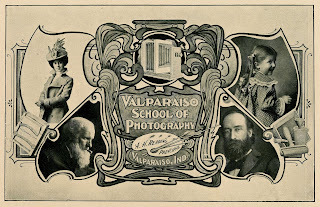 Advertisement for Reading's Valparaiso School of Photography, 1905. 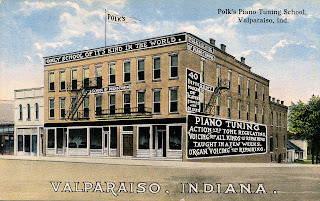 One unique Valparaiso educational institution was Polk's School of Piano Tuning. It is believed that this school was established as early as 1896, but it was not incorporated as a business until 1900. Polk's School was initially located in a house at the northeast corner of the intersection of Indiana Avenue and Lafayette Street in Valparaiso, now occupied by the the Porter Health Amphitheater. The school would soon move a short distance to the old Merchant's Hotel building south of the courthouse. which occupied the former Merchant's Hotel. Polk's School of Piano Tuning. 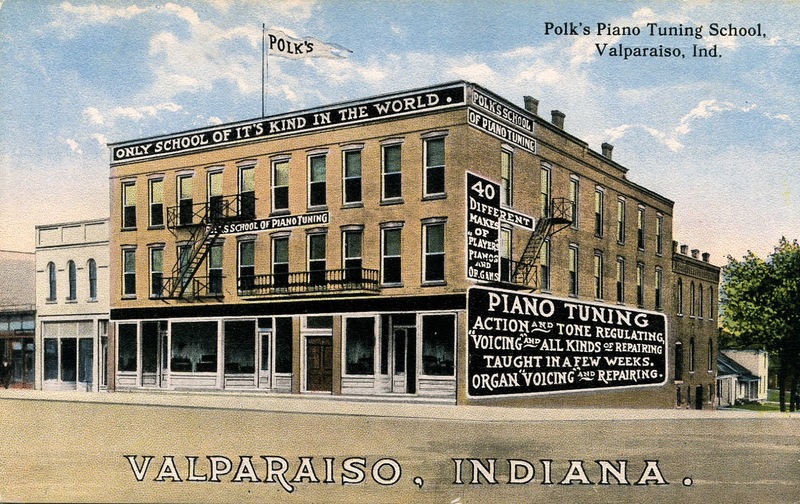 Located at Valparaiso, Indiana, is a school that affords instruction of the highest grade to students of piano-tuning. The success that has attended the institution from the first is chiefly attributable to the fact that the corps of instructors are not only practical piano-tuners, but practical teachers as well. Mr. C. C. Polk, the proprietor of the school, is a master of the art of piano tuning. He conceived the idea of this school while traveling over the western states as an expert tuner. Many persons who attend this school and master the art are piano dealers who find it necessary to learn the work in order to better take care of his trade. Teachers and musicians who are not situated within easy reach of a competent tuner find the training at the school invaluable. By far the larger number who attend, however, are those who will make the profession their future life work. and Company 1905 business directory for Valparaiso, Indiana. 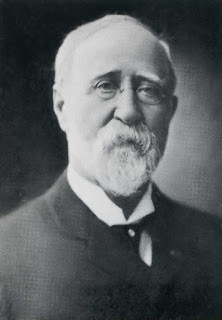 Caleb Clark Polk was the President of Polk's Piano Tuning School and husband of Clara Thornburg Polk. Caleb, Clara, and their three children were residing at 39 South Washington Street in Valparaiso according to the 1900 Federal Census. Today, this is the location of the drive-through banking structure of the Fifth Third Bank. The 1910 Federal Census, however, indicates that they had moved to a residence located at 101 North Washington Street in Valparaiso, now present location of the BridgePoint Church parking lot at the northwest corner of the intersection of North Washington Street and West Jefferson Street. Both 1900 and 1910 census records list Caleb's occupation as "piano tuner." 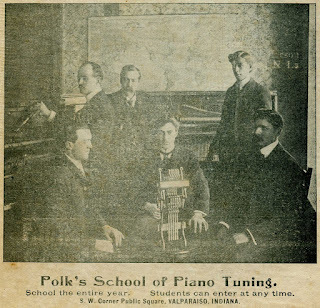 Polk's School of Piano Tuning, 1905. Thomas Claiborne Polk, Secretary and Treasurer of Polk's Piano Tuning School, was the son of Caleb C. and Clara Polk. Thomas was born May 15, 1881, in Lake County, Indiana, and died on March 3, 1949, at Santa Barbara, Santa Barbara County, California. Thomas married Maude Flora Cooley on December 16, 1920, in Cook County, Illinois. 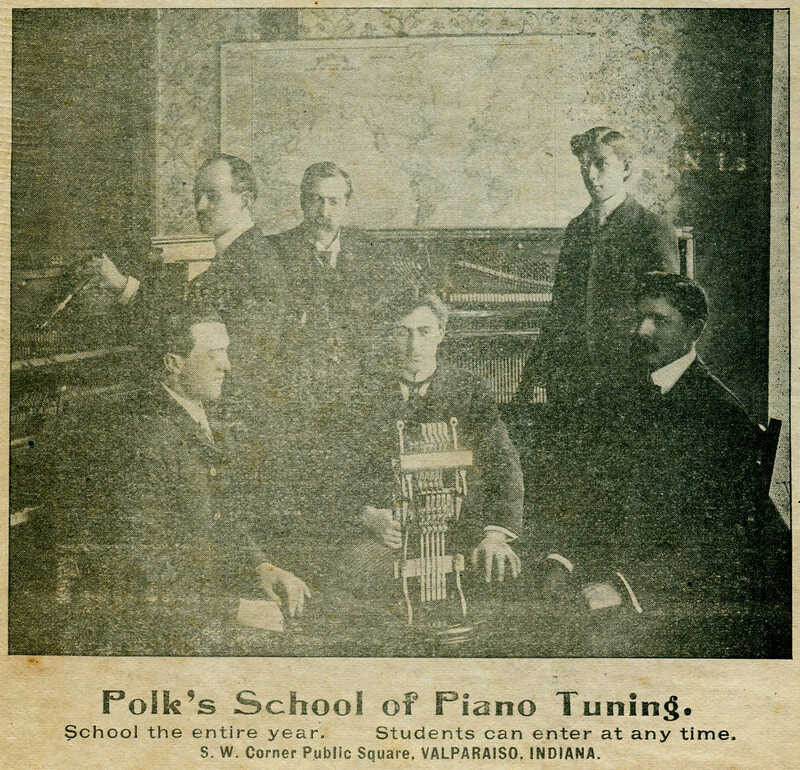 Newspaper advertisement for Polk's School of Piano Tuning. Source: The Inter Ocean (Chicago), June 25, 1905. Thomas C. Polk was quite active in the Valparaiso music scene. For instance, he was a member of the Lyric Quartet and Glee Club of Valparaiso with Charles L. Bartholomew, Omar Covert, and Francis Ives Hendry, which performed across the United States and traveled to the Panama Canal during its construction to entertain workers there. Magazine advertisement for Polk's Piano Trade School. Source: Jacob's Orchestra Monthly, 1916. In January 1921, Polk's School of Piano Tuning was sold to C. M. Towne of Springfield, Sangamon County, Illinois, and William R. Powell of Oklahoma. Polk sold the school due to poor health. Powell became president of the company and began to relocate the school to LaPorte, LaPorte County, Indiana, on January 5, 1925; the school began fully functioning in LaPorte on April 1st of that year. Magazine advertisement for Polk's School of Piano Tuning. Caleb C. Polk died due to a stroke at 4:40 am on August 16, 1923, at the Christian Hospital in Valparaiso. He was born on July 9, 1849, at Princeton, Gibson County, Indiana. He was interred at Graceland Cemetery on August 17, 1923. When his wife Clara passed away in 1945, it is believed that Caleb's body was disinterred and buried next to Clara's at the Santa Barbara Cemetery in Santa Barbara, California. students breaking down a player piano. 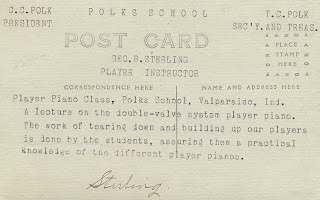 postcard showing students breaking down a player piano. Postcard image showing an interior view of Polk's School of Piano Tuning. 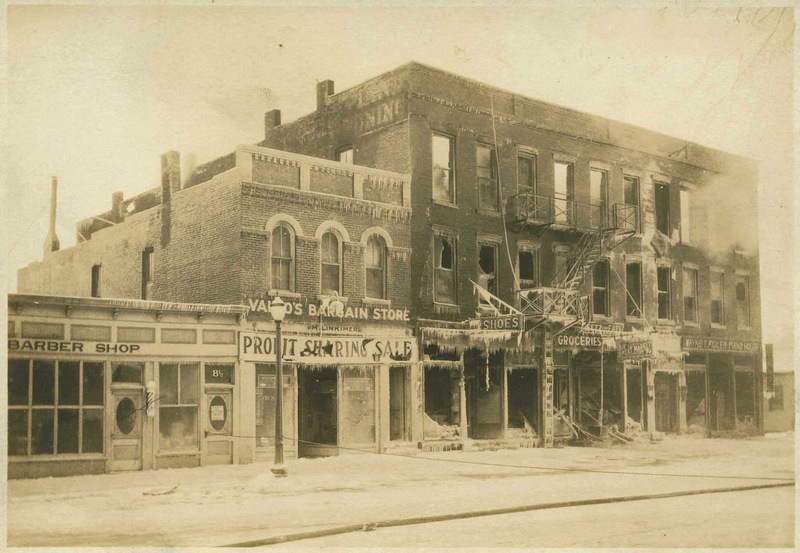 The photograph below shows the aftermath of the January 11, 1927, fire on Valparaiso's Mechanic Street at its intersection with Washington Street (south of the courthouse); this block was commonly referred to as both the Merchant's Hotel Block and the Excelsior Block. The large brick structure visible to the far right in the photograph housed Polk's School of Piano Tuning. The Merchant's Hotel Block was constructed in 1854 by John N. Skinner and a Mr. Mason (probably Mr. Skinner's brother-in-law) and it was the first brick-constructed block within the city. The brick buildings were previously occupied by an undeveloped lot described as being a "thicket of hazel brush." 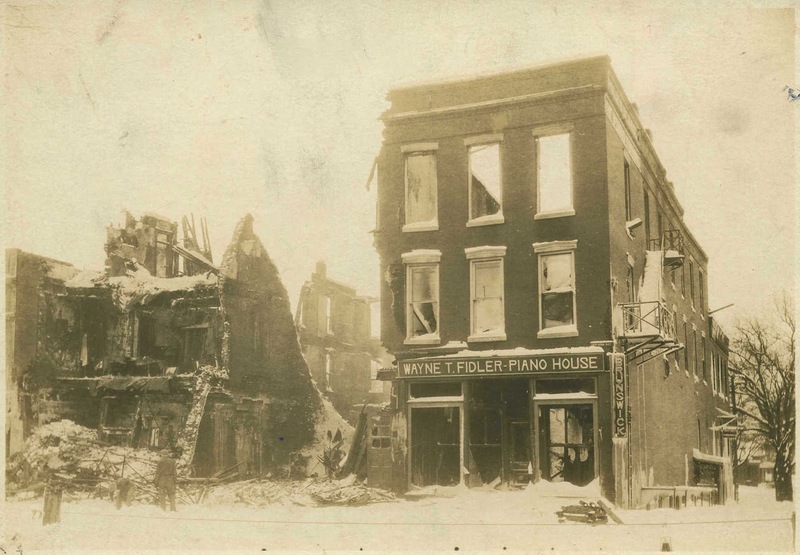 Wayne T. Fidler Piano House, which occupied Polk's School of Piano Tuning after the school had moved to LaPorte. Leetz's Meat Market and Grocery. Louis F. Leetz, "Leetz for Eats," owned and operated this business. 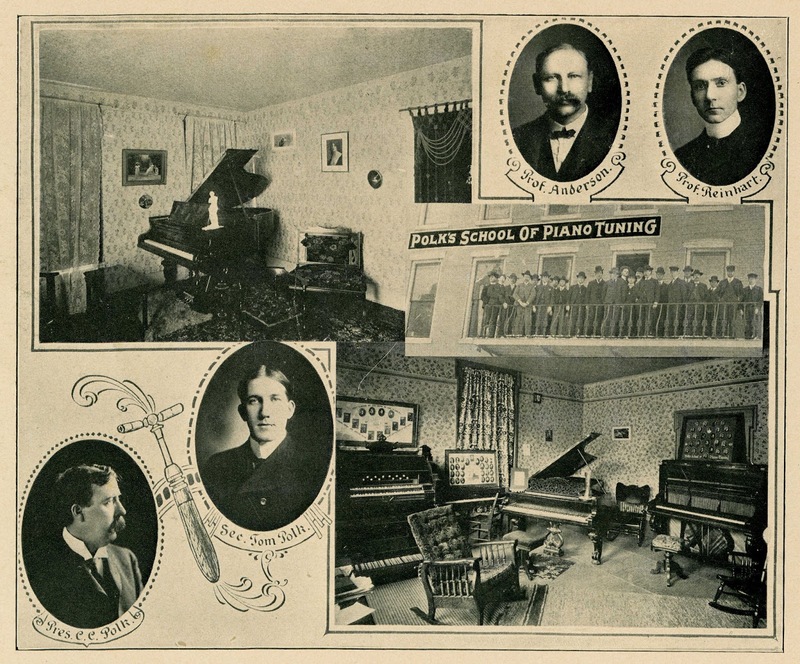 Leetz's business was also housed in the former Polk's School of Piano Tuning. Family Shoe Store, owned and operated by Morris Linkimer. Morris' son, Sam Linkimer, later owned and operated the business as Linkimer's Shoes for 51 years. At the time this photograph was taken, the Family Shoe Store specialized in retailing Peters Solid Leather Shoes. Valpo Bargain Store, owned and operated by Morris Linkimer. Barber Shop owned and operated by John G. Marks. Hotel Block Fire in Valparaiso, Indiana. Photograph was taken looking southwest. Hotel Block in Valparaiso, Indiana, in 1927. Photograph was taken looking south. The body dangling from a rafter was discovered by his granddaughter. According to members of his family, he had been despondent for some time over financial reverses…. Fidler was a resident of Valparaiso for a number of years, and conducted a music store in the old Merchants' hotel block, later destroyed by fire. Following the fire in which he was a heavy loser, Fidler moved to a farm near Walkerton. Bumstead and Company. 1905. Bumstead's Valparaiso City and Porter County Business Directory Including Rural Route. Chicago, Illinois: Bumstead and Company. 423 p.
Coe, Lewis. 2003. The Telegraph: A History of Morse's Invention and Its Predecessors in the United States. Jefferson, North Carolina: McFarland and Company, Inc. 192 p.
Dodge, George M. 1901. The Telegraph Instructor. Valparaiso, Indiana: G. M. Dodge. 267 p.
Hite, Leland L. 2015. 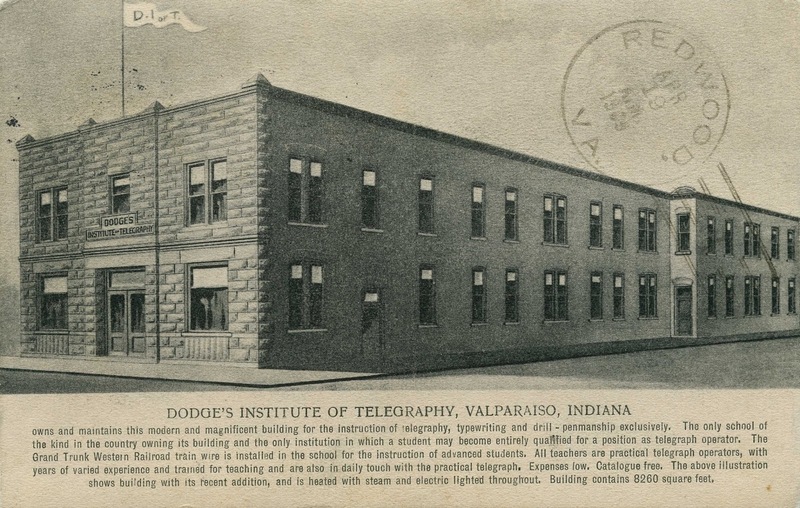 Dodge's Institute to Valpo Tech: 1873 to 1991. [No location provided]: Leland L. Hite. 29 p.
Stimpson, George W. 1921. The Story of Valparaiso University: Including an Account of the Recent Period of Turbulence. Hammond, Indiana: W. B. Conkey Company. 167 p.
Strietelmeier, John. 1959. Valparaiso's First Century: A Centennial History of Valparaiso University. Valparaiso, Indiana: Valparaiso University. 191 p.
Anonymous. 1888. Railroad Telegraphers' Convention. Western Electrician 2(26):1. The Detroit Free Press, Detroit, Wayne County, Michigan; August 29, 1906; Volume 71, Number 339, Page 14, Column 4. Column titled "Polk's School of Piano Tuning." The Vidette-Messenger, Valparaiso, Porter County, Indiana; August 27, 1929; Volume 3, Page 3, Column 5. Column titled "Locals." The Vidette-Messenger, Valparaiso, Porter County, Indiana; January 7, 1931; Volume 4, Page 2, Column 1. Column titled "Ten Years Ago." The Vidette-Messenger, Valparaiso, Porter County, Indiana; August 16, 1933; Volume 7, Page 5, Column 6. Column titled "Ten Years Ago." The Vidette-Messenger, Valparaiso, Porter County, Indiana; January 19, 1934; Volume 7, Page 2, Column 5. Column titled "Word of Death Recalls Famous Glee Club Trip." The Hammond Times, Hammond, Lake County, Indiana; July 15, 1935; Volume 30, Number 23, Page 1, Column 2. Column titled "Former Valpo Man Suicides." The Vidette-Messenger, Valparaiso, Porter County, Indiana; August 18, 1936; Volume 10, Section 3, Pages 7-9. Column titled "Grade Schools Write History of Center Township: Rural Schools and Teachers Compile Record of Events Since Coming of Pioneers." The Vidette-Messenger, Valparaiso, Porter County, Indiana; August 18, 1936; Volume 10, Section 4, Page 23. Column titled "Valparaiso has World-Famous Telegraph and Radio Institute Founded in '91 by Geo. M. Dodge." The Vidette-Messenger, Valparaiso, Porter County, Indiana; February 22, 1937; Volume 10, Page 1, Column 2 and Page 8, Columns 1-3. Column titled "Site Bought From Indians In Year 1832." The Vidette-Messenger, Valparaiso, Porter County, Indiana; October 18, 1939; Volume 13, Page 2, Column 7. Column titled "A. H. Reading Put On Stand: Local Photographer Testifies In John Doe Case As Hand-Writing Expert." The Vidette-Messenger, Valparaiso, Porter County, Indiana; June 30, 1956; Volume 29, Number 306, Page 1, Columns 7 and 8 and Page 3, Column 2. Column titled "Hershman's Rites Set For Tuesday." The Vidette-Messenger, Valparaiso, Porter County, Indiana; January 28, 1957; Volume 30, Number 174, Page 1, Column 8 and Page 3, Column 4. Column titled "Dr. Peaslee Takes Over New Duties." The Vidette-Messenger, Valparaiso, Porter County, Indiana; January 5, 1945; Volume 18, Page 4, Column 5. Column titled "Do You Recall These Reports, Twenty Years Ago." The Vidette-Messenger, Valparaiso, Porter County, Indiana; August 28, 1945; Volume 19, Page 3, Column 7. Column titled "Receive Word Of Mrs. Clara Polk's Death In West." The Vidette-Messenger, Valparaiso, Porter County, Indiana; January 25, 1974, Volume 47, Number 172, Section 2, Page 17, Columns 1-3. Column titled "Technical School Comes Long Way," by Arthur Hershman.